Karen is a producer, co-owner of Joint Effort – a film production company, and co-owner with her husband Jim, of JC Productions – a music production company. 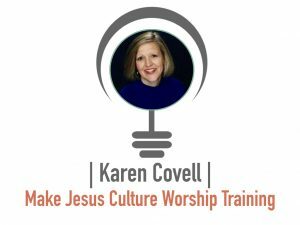 As Founding Director of the Hollywood Prayer Network, Karen also speaks and teaches around the country to people of faith, encouraging them to not hate Hollywood or boycott its products, but instead to pray for the people in the entertainment industry. She is also a published co-author of two books with her husband Jim and their writing partner Victorya Rogers, entitled, “How To Talk About Jesus Without Freaking Out” (or the young people’s version, “The J Bomb”) and “The Day I Met God,” all available at Barnesandnoble.com, Thrillinglife.com and at Amazon.com. Karen lives in Los Angeles with her husband Jim and her two sons, Cameron and Christopher.